Sun City Stitcher: YIKES! Next week is Thanksgiving in the U.S.A. I am not ready in the least for the feast!! 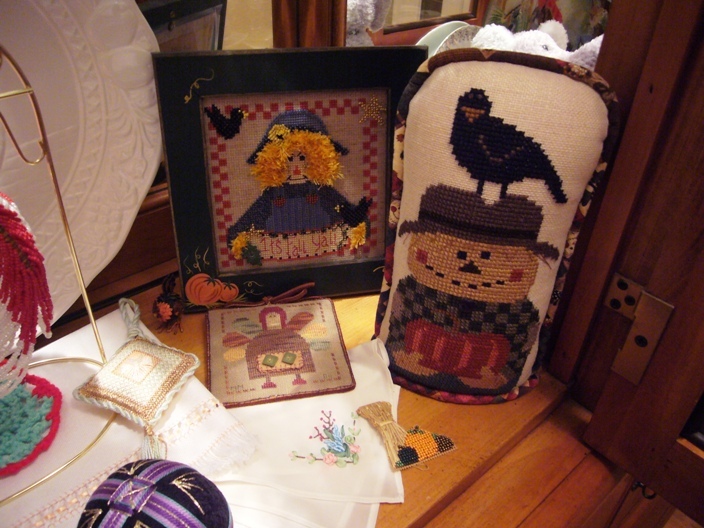 But I have a few stitched items for the holiday. All stitched in previous years, but they will get this blog in the spirit! 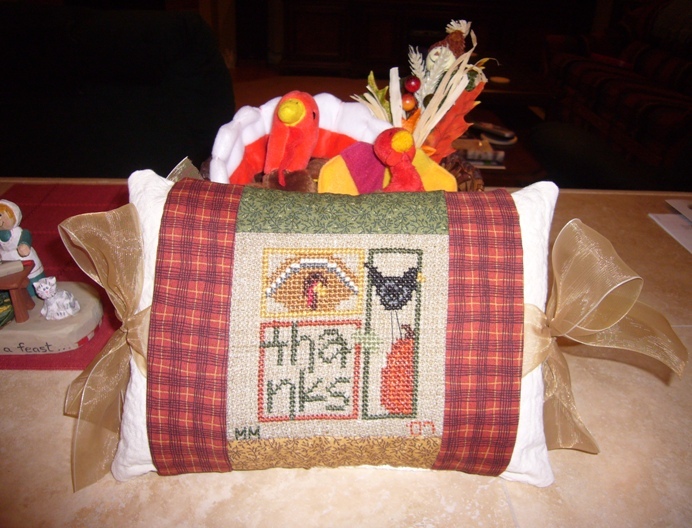 My 2009 Thanksgiving display. 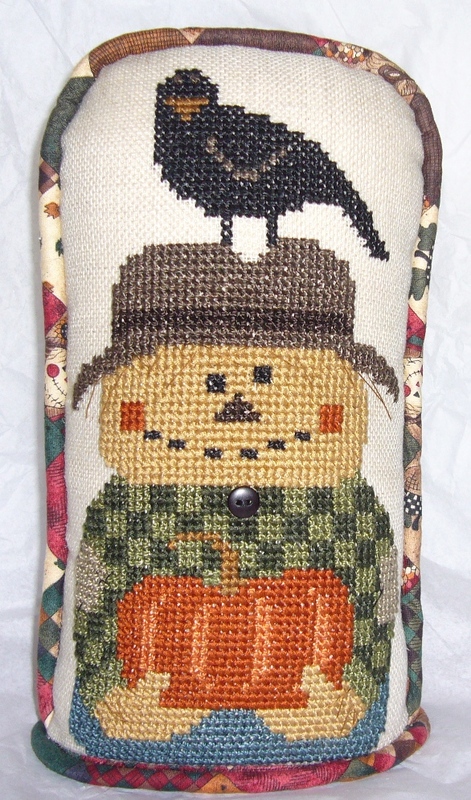 Pillow is a Pine Mountain Design. I forget whose design this is. 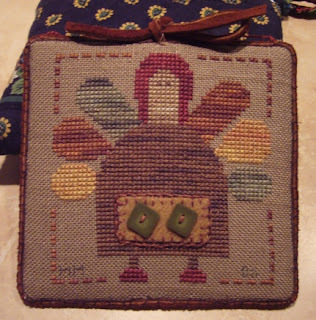 I stitched it before I blogged. Now I try to keep better track for you all. These are in my china cabinet. 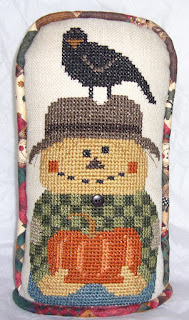 The scarecrow in back is a mill hill bead and floss kit on perforated paper. The banner he is holding says "It's fall y'all". Which I thought was cute 'cause we lived in North Carolina at the time where y'all is used A LOT. 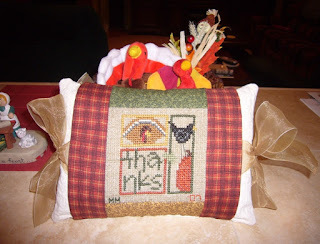 I am not working on any current Thanksgiving stitching. I do have about three things stitched that need to be finish finished, but I may save that for another day!! Your Thanksgiving stitches are great!! Hope you have an enjoyable holiday.